K-VEST has been around for the past 15 years pioneering the space of motion capture in golf and helping coaches from all over the world get better results with their students. 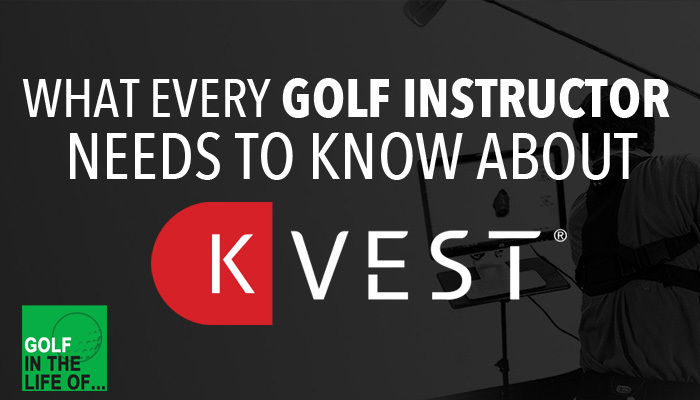 We’re going to dive into several different aspects of the company and try to answer as many questions a golf instructor might have about K-VEST. Matt Reagan and Ryan Dailey are coming back to sit down with us and share the back end details behind successful long-term junior programming. Dr Bhrett McCabe is a sports and performance psychologist who came on to Golf in the Life of a couple weeks ago to talk about PROGRESS (check that out here). How do we get stuff done, set goals, and feel actually feel better about ourselves?!? As a coach it’s easy to invest all your time into students and leave little energy left over to care about yourself and your business. How do you keep your energy up and stay productive? With Open Forum 4 just around the corner we got an early sneak peek from one of the presenters Dr Sasho MacKenzie and moderator Nick Chertock. [SPONSOR] K-VEST No Longer a Technology Company??? I have been hearing about some really interesting changes going on over at K-VEST, so I sat down with Tony Morgan before the 2016 PGA show to talk about what you can expect when you head to the show.